This Fly/Sail itinerary features the best of Antarctica and allows time for more exploration, without crossing the Drake Passage. 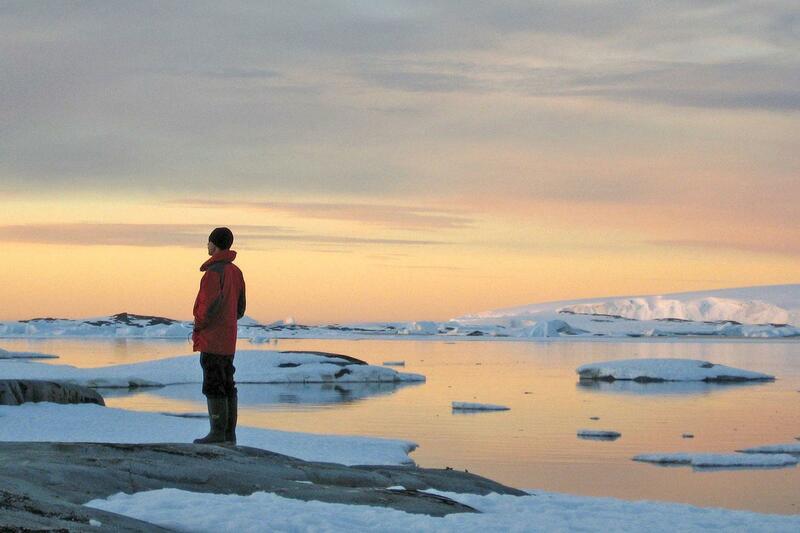 Adventurers, explore Antarctica at its most pristine! Experience whales, penguins and seal as they rush to find the best places to court, feed and breed. 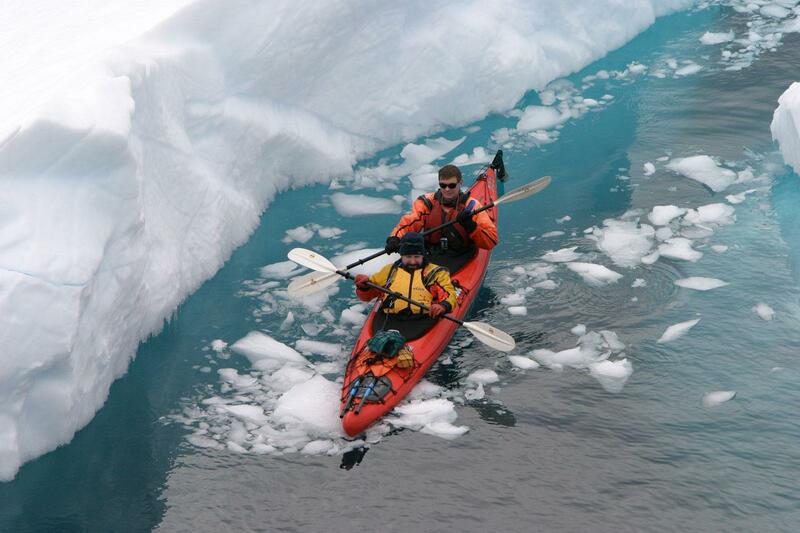 Combine continental landings and visits to historic sites with the chance to kayak amid pack ice; climb; ski; snowboard and snowshoe on untracked peaks; camp out and photograph polar pastel landscapes beneath a near-midnight sun. Please refer to this itinerary as a guide only, as changes may occur due to unpredictable sea and weather conditions. 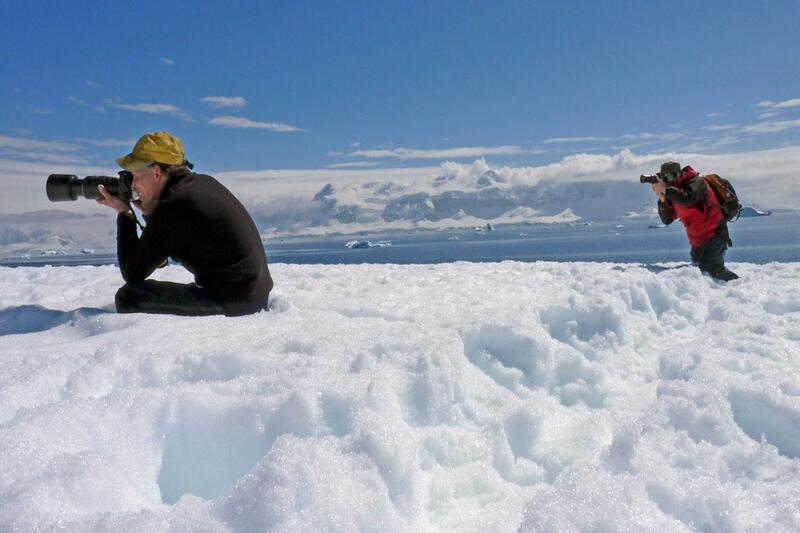 Flexibility is key, when joining us on our expeditions. Day 1 Arrive Punta Arenas Arrive in Punta Arenas, where you will be met by a representative of Aurora Expeditions and transferred to your downtown hotel (preferred flights only). Overlooking the Straits of Magellan, the city sits astride one of the world's most historic trade routes. Today, Punta Arenas reflects a great mix of cultures, from English sheep ranchers to Portuguese sailors, and it remains an utterly fascinating testament to Chile's rich history. Tonight, we will gather to meet our fellow expeditioners and a briefing on the first leg of our expedition – our flight to Antarctica! Day 2 Fly Punta Arenas to King George Island This morning we will be transferred to Punta Arenas airport for our early morning charter flight to King George Island, Antarctica (weather permitting). The flight will take approximately one-and-a-half hours. On arrival into King George Island our expedition team is on hand to greet you for your Zodiac transfer to board the Greg Mortimer. You’ll have time to settle into your cabin before our important briefings. NOTE: King George Island is located at the northern part of the Antarctic Peninsula in the South Shetland Islands and is one of the most remote places on Earth. A clear sky with perfect visibility is required in order for the plane to take off and land safely. We apologise in advance for any delays. 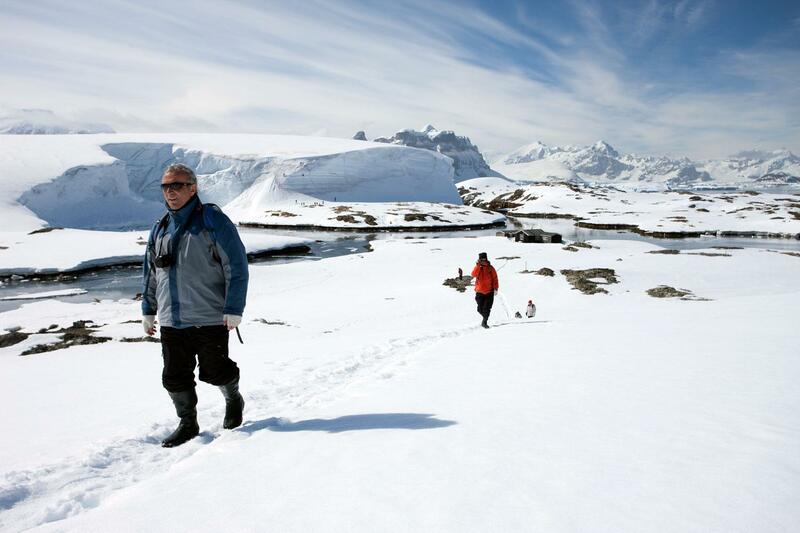 Days 3-9 Antarctic Peninsula Over the next few days a host of choices are open to us, and depending on ice and weather conditions, the western side of the Antarctic Peninsula is ours to explore. Our experienced expedition team, who have made countless journeys to this area, will use their expertise to design our voyage from day to day. This allows us to make best use of the prevailing weather, ice conditions and wildlife opportunities. Because we are so far south, we will experience approximately 18-20 hours of daylight and the days can be as busy as you wish. 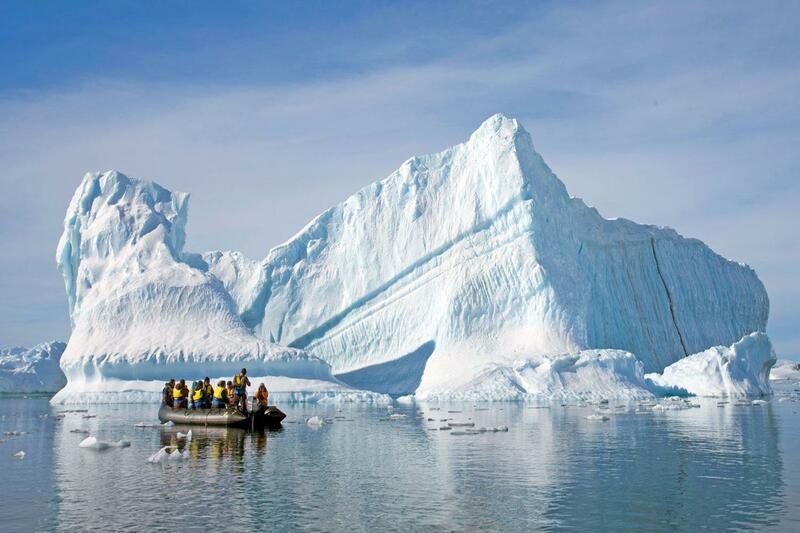 We will generally try for two landings or Zodiac excursions each day; cruising along spectacular ice cliffs; following whales that are feeding near the surface; and landing on the continent and its off-shore islands to visit penguin rookeries, seal haul outs, historic huts, and a few of our other favourite spots along the peninsula. There will be plenty of time for sleep when you get home! During this voyage, there will be an opportunity to camp ashore (weather and time permitting). This will give you the chance to sample the style of adventure that Scott, Shackleton and other legendary Antarctic explorers experienced, although with slightly better equipment and in more comfort! Rest assured our warm and comfortable ship with its hot showers will only be a short distance away! There are many exciting places we can choose to visit; a sample of some of the places where we may land, hike, and photograph or view spectacular wildlife follows: Paradise Harbour A protected bay surrounded by magnificent peaks and spectacular glaciers, the rocky cliffs of this spectacular harbour provide perfect nesting sites for blue-eyed shags, terns and gulls. The serenity of Paradise Harbour envelops us once the ship’s engine is turned off. This is a haven for whales and we keep our eyes open for humpbacks, orcas, minkes, and crabeater seals, as we explore the bay in Zodiacs. Hydrurga Rocks This group of low-lying unprotected granitic rocks protrude from the sea, swept by ocean swells. At first these rocks appear uninteresting, but on closer investigation, calm channels lead to a hidden interior where Weddell seals are hauled out on protected snow beds and noisy chinstrap penguins raise their families on rocky platforms. Hydrurga is the Latin family name for leopard seal (Hydrurga Leonina), and on occasions we see some skulking in the shallows. There are many places to simply sit and watch the rise and fall of clear green water and listen to the magic sounds and calls of the wildlife. Half Moon Island This wildlife-rich island is tucked into a neat bay at the eastern end of Livingston Island. On a clear day, the glaciers and mountains of Livingston Island dominate the vista. There is a large chinstrap penguin colony tucked in between basaltic turrets coloured by yellow and orange lichens. Gulls nest on these turrets and there are often fur seals and elephant seals hauled out on the pebble beaches. There is a large rookery of nesting blue-eyed shags at one end of the island, while at the other end of the island lies a small Argentinian station that is sometimes occupied by scientists conducting research on the penguin colony and surrounding waterways. Lemaire Channel If ice conditions allow, standing on the observation deck of the Greg Mortimer quietly as the ship sails along the narrow Lemaire Channel could certainly be one of the highlights of our voyage. Cliffs tower 700 metres / 2,296 feet straight out of the ocean on either side of the ship. The water can sometimes be so still that perfect reflections are mirrored on the surface and it is clear to see why this Channel is often called “Kodak Alley”. Gigantic icebergs may clog the channel, creating navigational challenges for our Captain and crew; occasionally they may even obstruct our passage. Port Lockroy Located on Goudier Island, British Port Lockroy is an important site for both scientific research and visitors to the Antarctic continent. 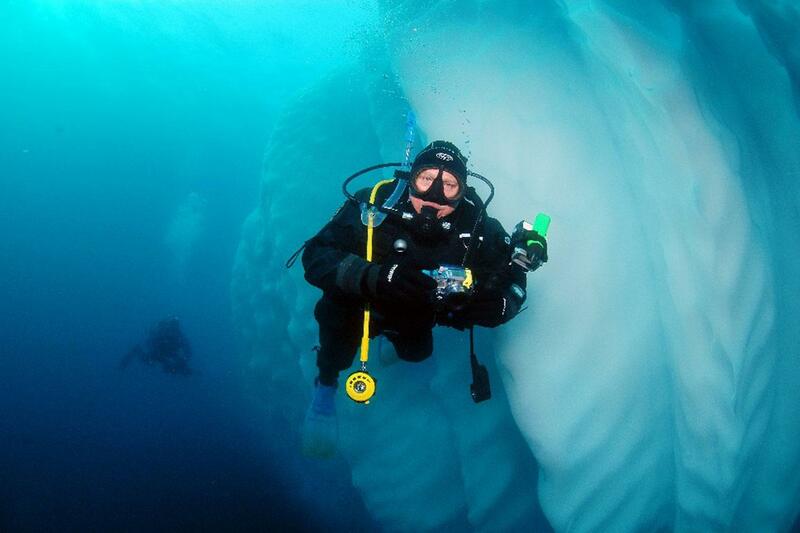 Designated a historic site in 1994 and opened to the Antarctic tourism industry in 1996, it was discovered in 1904 and used by the whaling industry in the first half of the 1900s. It was part of the British Operation Tabarin during World War II, and was later used as a British Research Station. Today, Pork Lockroy is manned by the UK Antarctic Heritage Trust and operates as a museum, gift shop and post office for visitors from passing Antarctic expeditions. You can even send a post card home from the Penguin Post Office, the world’s most southern Post Office! Neko Harbour Located in Andvord Bay, Neko Harbour is an inlet home to gentoo penguins, and regularly welcomes Weddell seals. 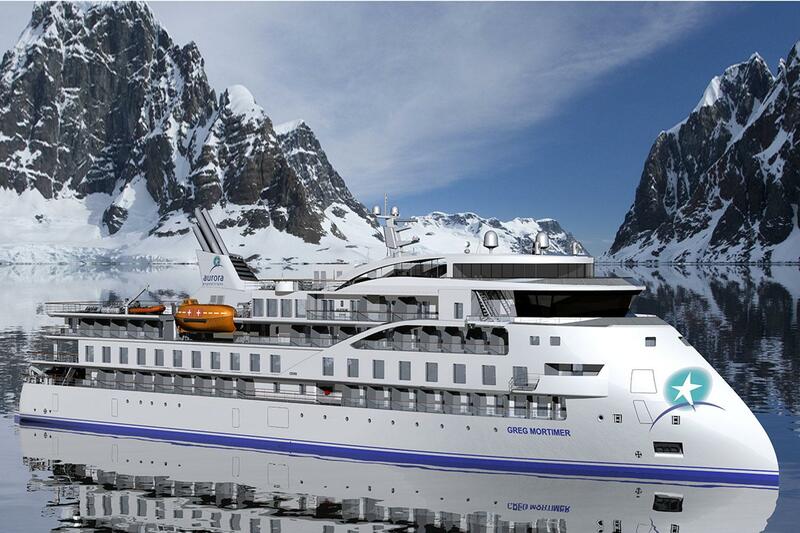 The scenery is dramatic - towering peaks and calving glaciers surround the harbour. The thundering crack of the glaciers as they calve is sure to stop you in your tracks. Robert Point A fine example of the South Shetland Islands – tiny toes of land that are literally alive with wildlife. 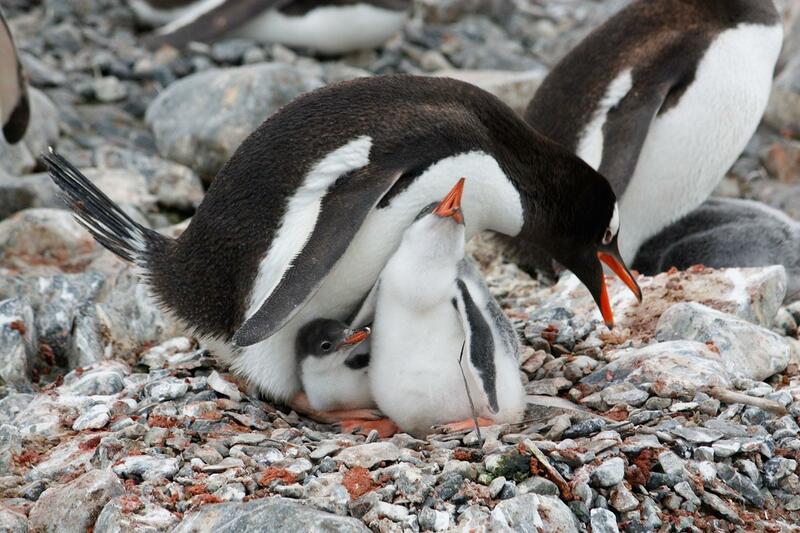 Here, there are two species of penguins breeding - chinstrap and gentoo. 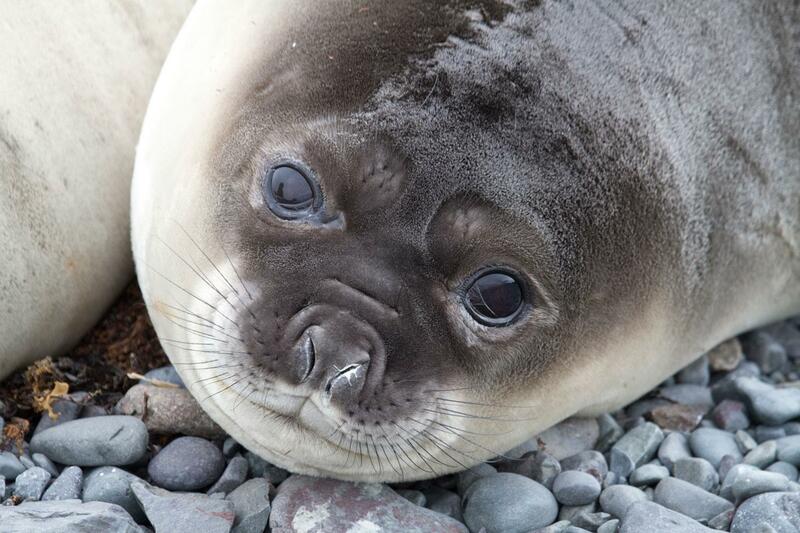 It is not uncommon to find wallows of elephant seals that are 60 beasts strong. Giant petrels nest on the ridgeline. Other places we may visit around the Antarctic Peninsula are: Pleneau IslandVernadsky; a Ukrainian scientific base, Petermann Island, Penola Strait, Antarctic Sound, Cuverville Island, Danco Island, Enterprise Island, Melchior Islands Day 10 Fly King George Island to Punta Arenas As we approach Frei Base on King George Island, it is time to farewell Antarctica and our amazing adventure before boarding our return flight to Punta Arenas, Chile. On arrival at the Punta Arenas airport, you will be transferred to our preferred downtown hotel. 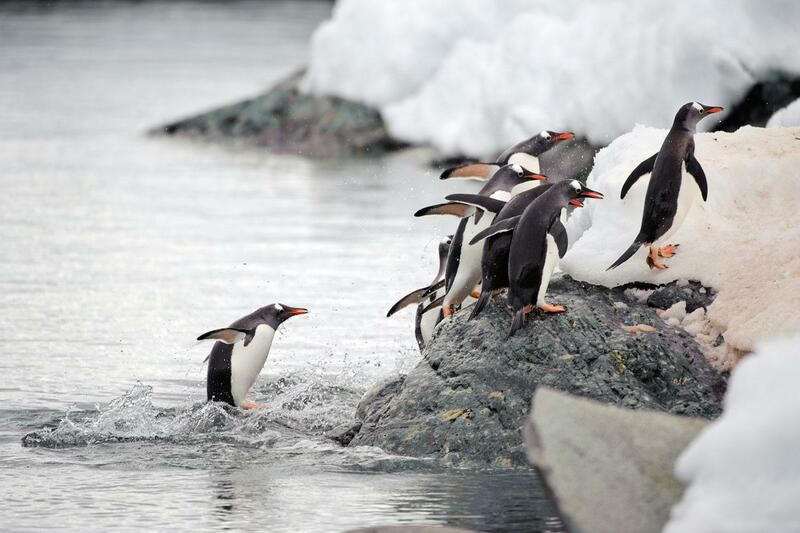 NOTE: King George Island is located at the northern tip of the Antarctic Peninsula. This is one of the most remote place on Earth. A clear sky with perfect visibility is required in order to take off and land safely. We apologise in advance if you experience any delays. Day 11 Punta Arenas After breakfast, bid a fond farewell to your fellow passengers as we all continue our onward journeys, hopefully with a newfound sense of the immense power of nature. NOTE: Please advise us if you require an airport transfer, so it can be booked in advance. The departure airport transfer is not included in your voyage cost and will be at an additional charge. Note: A $15 USD per person per day gratuity for the crew is automatically added to your onboard account. It is at your discretion if you would like to remove the tip (or increase/decrease the amount) when you settle your bill. It is not necessary to tip the expedition team members.